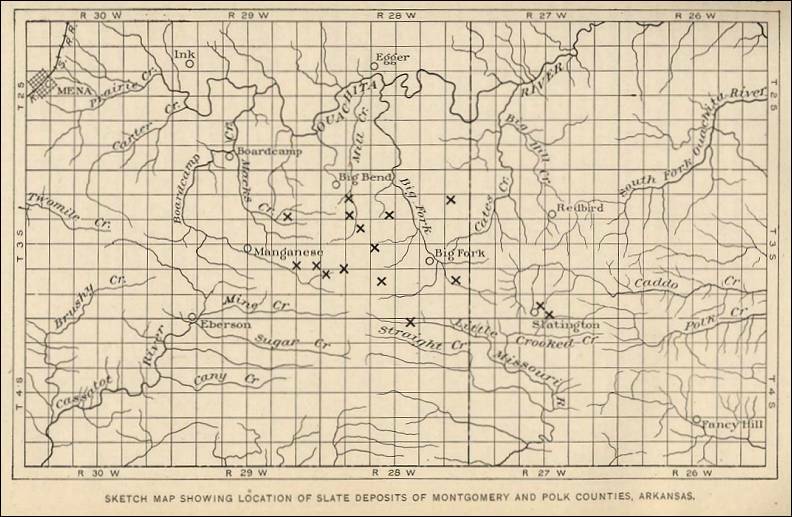 Map – Sketch Map Showing Location of Slate Deposits of Montgomery and Polk Counties, Arkansas. Plate IX (From Slate Deposits and Slate Industry of the United States, Bulletin No. 275, 1906. Quarries in Arkansas (present-day companies), listed on Superyellowpages.com. Arkansas Lime Company Collection. The company records for this company are available in the Lyon College Special Collections, Regional Studies Center, Regional Studies Center, Mabee-Simpson Library, Lyon College, P.O. Box 2317, Batesville, AR 72503-2317; (870) 698-4330. Batesville, Arkansas – Marble Samples in the Nist Test Wall. This marble is described as Motteled gray and white, fine grain, calcite. There are two samples: the first sample is the archive photograph and the other is a photograph of the stone in the NIST Stone Test Wall sponsored by the National Park Service. Batesville, Independence County, Arkansas – the Oren McBride Stone Quarries (Dimension Stone) 2340 O'Neal Road, Batesville, AR 72501; (501) 793-7285. 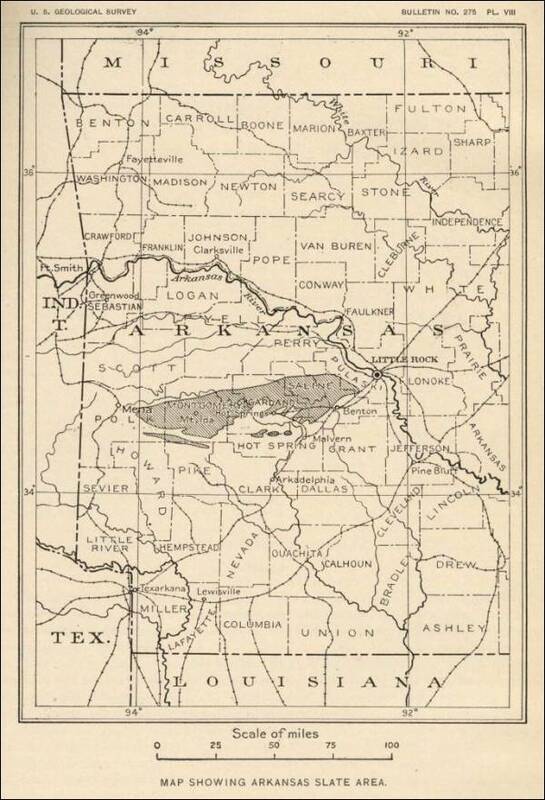 Batesville, Independence County, Arkansas - Present-Day Commercial Marble Operations (From Arkansas Geological Commission) "Most current mining operations of commercial marble in Arkansas are located near Batesville, Independence County." Beaver (near), Arkansas (limestone quarry), presented by Eureka Springs Tourist Center. 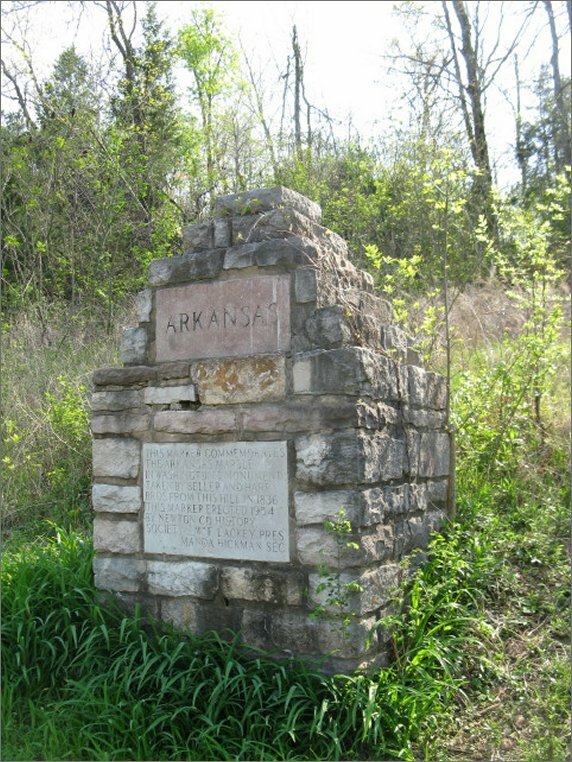 “Carrying on the tradition of Arkansas Limestone,” by Jennifer Adams, May 1, 2013, Article on the Stone World web site. Belle Point, Arkansas, Stone Quarry, presented by the Fort Smith National Historic Site. 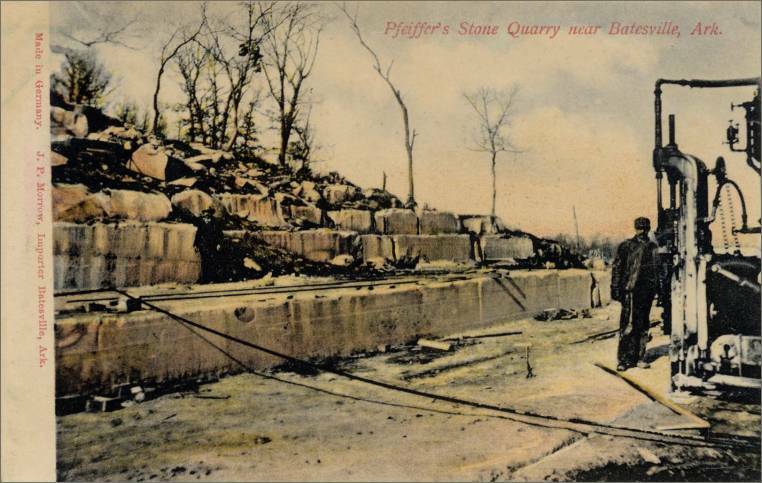 After Congress authorized reoccupation and enlargement of the post at Fort Smith, a stone quarry was opened at Belle Point. Berryville, Arkansas – Carroll County Stone-Quarry (Dimension Stone) Highway 62 E, Berryville AR 72616; (501) 423-6569. 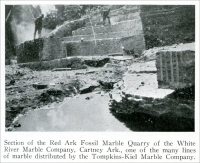 “Ozark Southern Stone quarry began in 1883 as Eureka Stone Co., owned by Benjamin J. Rosewater, an early Eureka Springs postmaster, and remained open until the Great Depression. 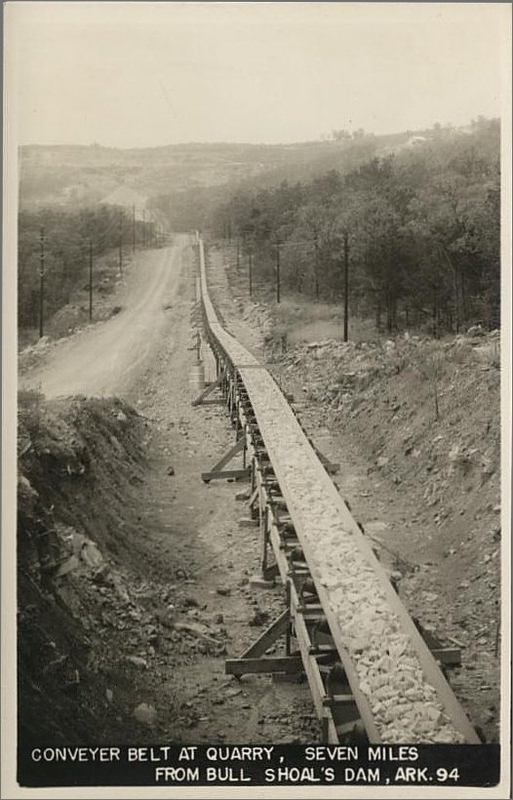 Eureka Springs (near), Arkansas – Ozark Southern Stone Quarry (Limestone) (present-day company), Photographs presented on the Dexpan® web site. Fayetteville, Benton County, Arkansas - the McClinton Anchor Company (Dimension Stone) P.O. Box 1367, Fayetteville, AR 72701. R. A. Thomassen, who has been operating stone quarries near Fayetteville, Ark., for the past 15 years, has received many orders for stone and expects a large increase of business in the spring. Flippin, Arkansas - Rock Quarry used to supply Rock to Build Bull Shoals on White River. The Bull Shoals Dam, of Bull Shoals Dam, by Glenn Johnson in OzarksWatch, 1996 (photographs and history) There was a seven-mile-long conveyer belt used to carry crushed rock from a quarry near Flippin, Arkansas, to the Dam site. The rock quarry was located on the Wilson farm on Lee's Mountain. Foreman, Little River County, Arkansas – Ark La Limestone Corporation (Aggregates/Crushed Stone) P.O. Box 70, Foreman, AR 71836. Fort Smith, Arkansas - the Fort Smith Marble Co. The following information is from The Monumental News, August, 1895, Vol. 7, No. 8, Chicago, Illinois, pp. 521. (1) Joyce Brothers Quarry, P.O. 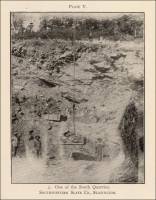 Box 958, Salem, AR 72576; and (2) Twin Lakes Quarries, Inc., P.O. Box 705, Mountain Home, AR 72653. Garland County, Arkansas - Marvin Wright Whetstone (Whetstones) 5403 Ryan Loop Road, Texarkana, TX 75501. 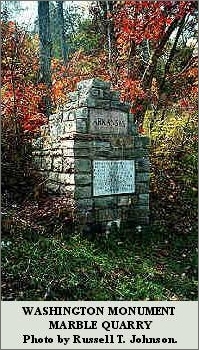 Hackett, Sebastian County, Arkansas - the Hackett Stone (Dimension Stone) Route 1 Box 99, Hackett, AR 72937. Hatton, Arkansas – Meridian Quarry Black Rock (Dimension Stone) 323 Polk 15, Hatton, AR 71946; (501) 385-2301. Hot Springs, Garland County, Arkansas - the Blue Mountain Whetstone Company, 105 Haw, Hot Springs, AR 71901. Hot Springs, Garland County, Arkansas – Clyde Dickson Quarry (Aggregates/Crushed Stone) 3014 N. Hwy 71, Hot Springs, AR 71901. Hot Springs, Garland County, Arkansas – Dan’s Whetstone Company, Inc. (Whetstones)418 Hilltop Road, Pearcy, Arkansas. Hot Springs, Garland County, Arkansas - Smith's Abrasives, Inc. (Whetstones and/or Oilstones) 1500 Sleepy Valley Road, Hot Springs, AR 71901. (1) Arkansas Lime Company, P.O. Box 177, Cleburne, TX 76031; (2) Limestone Specialties, Inc., P.O. Box 3199, Batesville, AR 72501; (3) Meridian Aggregate, Inc., P.O. Box 260, Black Rock, AR 72415; and (4) Midwest Lime Company, P.O. Box 2608, Batesville, AR 72503. Independence County, Arkansas - the Arkansas Lime Company, P.O. Box 177, Cleburne, TX 76031. 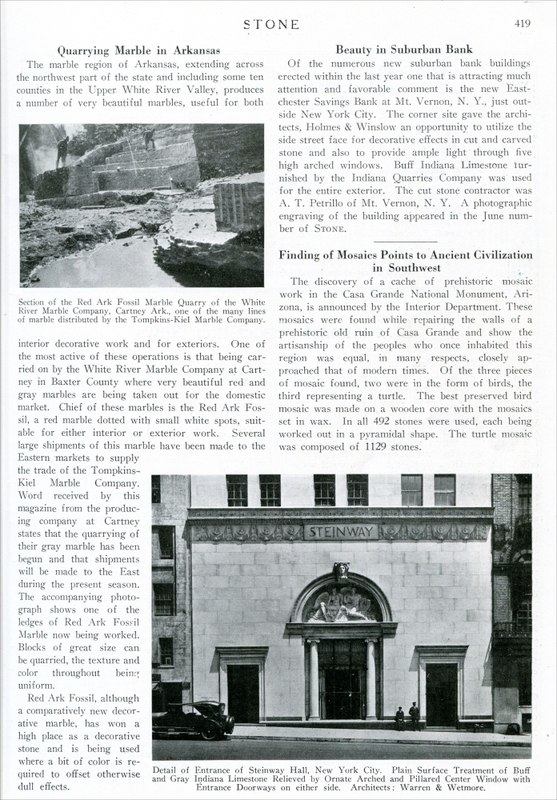 Independence County, Arkansas – the Pfeiffer Stone Company – “Kruegers of The Pfeiffer Stone Company,” by Wilson Powell, The Independence County Chronicle 15 (July 1974): 13 - 35. Little Rock, Arkansas – Granite Mountain Quarries (Dimension Stone) Sweet Home, Little Rock, AR 72206; (501) 490-1535. (1) Arkansas Native Stone, Route 1, New Blaine, AR 72851; (2) Logan County Building Stone Company, P. O. Box 169, Paris, AR 72855. Logan County, Arkansas – Schwartz Stone Company Quarries (Sandstone) (present-day company) Home office located at Highway 109, Scranton, AR 72863; 479-938-2317. According to the web site, the Schwartz Stone Company was founded in 1949 in Paris, Arkansas, as a family-owned and operated company. The “base of operations is located on the original quarry site in Logan County, Arkansas with yards and sales office in Springdale. The company also quarries sandstone in Logan County. 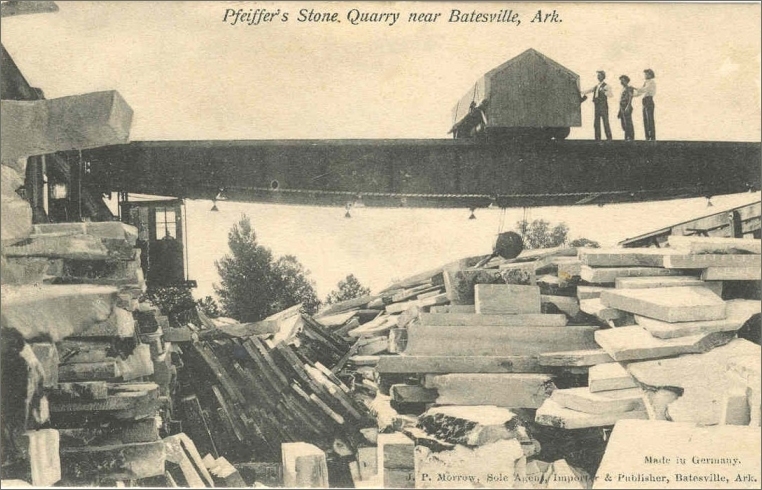 Malvern, Hot Spring County, Arkansas – Magnet Cove Stone Company Quarry, Robert D. Parker, Proprietor (Whetstones and/or Oilstones) (present-day company / photographs and history on the web site) 23750 Highway 51, Malvern, AR 72104. “Arkansas is a natural state, with beautiful hills and countrysides. 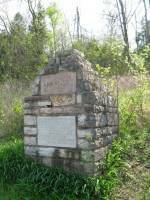 Magnet Cove Stone is located on land homesteaded in 1836 and it is a privilege to invite you to share in a portion of our Family History. Robert D. Parker is the proprietor and quarry master of Magnet Cove Stone. The Washington Monument: A Technical History and Catalog of the Commemorative Stones, by Judith M. Jacob, National Park Service, U.S. Department of Interior, Northeast Region, Design, Construction, and Facility Management Directorate, Architectural Preservation Division, 2005, 234 pp. 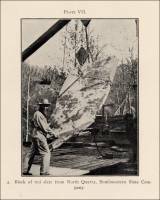 “The American Company is putting in new hoisting machinery and also erecting mill machinery, which was hauled from the Atlas Slate Company’s mill. The Atlas Slate Company, of Mena, Ark., will try the experiment of putting out red slate “black” boards for schools. The company claims that the red color will be easier on the eyes of the pupils than black. The Arkansas slate has excellent cleavage. 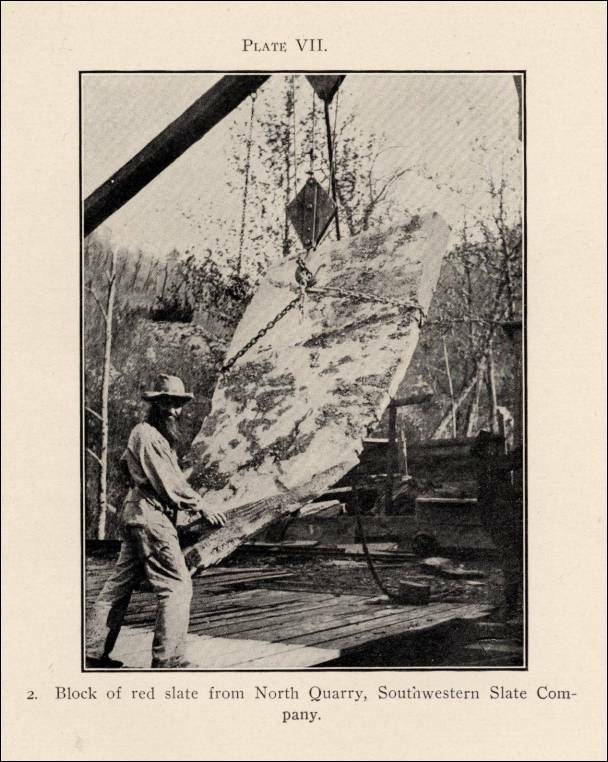 “In Arkansas another slate quarry has been opened in Polk County on property owned by the National Slate Company. It is situated near the American Slate Company’s property, fifteen miles east of Mena. “The National Slate Company was organized last February and has both Kansas City and New York capital. The plant of the South Western Slate Co., at Mena, Ark., is now ready for operation and several orders for structural slate have been received and accepted. Morrilton, Arkansas - Hodge & Jones. The following information is from The Monumental News, August, 1895, Vol. 7, No. 8, Chicago, Illinois, pp. 521. Mountain Home, Arkansas – Baxter County Quarry (Dimension Stone) Arkana Road, Mountain Home, AR 72653; (501) 491-5791. Mountain Home, Baxter County, Arkansas – Twin Lakes Quarry, Inc. (Aggregates/Crushed Stone) Mountain Home, AR 72653. Onia, Stone County, Arkansas - the Caston Stone (Dimension Stone) 2422 Fairview Road, Onia, AR 72663. This water-filled quarry is located in the Ouachita National Forest west of NF99. There are many photographs of this quarry available on web sites such as Flickr, Google Images, Panoramio, etc. You can view the location of this quarry swimming hole on Google Maps. On the SwimmingHoles.info web site, you will find a couple of photos of the quarry swimming hole and directions how to get to the quarry using unpaved roads. Ozark, Arkansas – Bennett Gaylon Stone Co. Inc. (Dimension Stone) Highway 96, Ozark AR 72949; (501) 667-3417. Ozark, Arkansas – Chrisman Ready Mix Inc Rock Quarry (Dimension Stone) Route 1, Ozark AR 72949; 501-667-2206. Paris, Logan County, Arkansas - the Logan County Building Stone Co. (Dimension Stone) P.O. Box 169, Paris, AR 72855. Paris, Logan County, Arkansas - the Sunset Stone Company (Dimension Stone) Route 1, Paris, AR 72855. Paris, Logan County, Arkansas - the Swartz Stone Company (Dimension Stone) P.O. Box 169, Paris, AR 72855. Pearcy, Garland County, Arkansas - Poorboy Whetstones, Route 2 Box 510B, Pearcy, AR 71964. 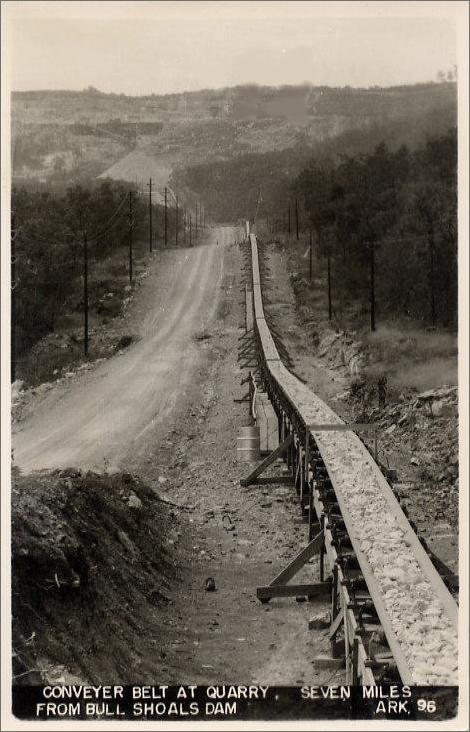 (1) Granite Mountain Quarries, P.O. Box 89, Sweet Home, AR 72164; and (2) Little Rock Quarry Company, Inc., P.O. Box 548, Benton, AR 72015. Quarry Mt., Hot Spring County, Arkansas – Sutton Quarries (Novaculite) This web site is presented by minedat.com. Ratcliff, Arkansas – Ratcliff Quarry (Dimension Stone) 725 Rock Quarry Road, Ratcliff, AR 72951; (501) 635-2288. Royal, Garland County, Arkansas - B & C Abrasives (Whetstones and/or Oilstones) 6616 Albert Pike Road, Royal, AR 71968. Scranton, Arkansas – Logan County Bldg Stone Co. Inc. (Dimension Stone) Highway 109, Scranton AR 72863; (501) 938-2317. Scranton, Arkansas – Schwartz Stone Company Quarry (Limestone) (present-day company) Quarry and plant located at Highway 109, Scranton, AR 72863; 479-938-2317. Slatington, Montgomery County, Arkansas – Southwestern Slate Company Quarry (Slate) (from The Slates of Arkansas, by A. H. Purdue, The Geological Survey of Arkansas, 1909. Plate V. 2. One of the South Quarries. Southwestern Slate Co., Slatington, pp. 56. Plate VI. 1. 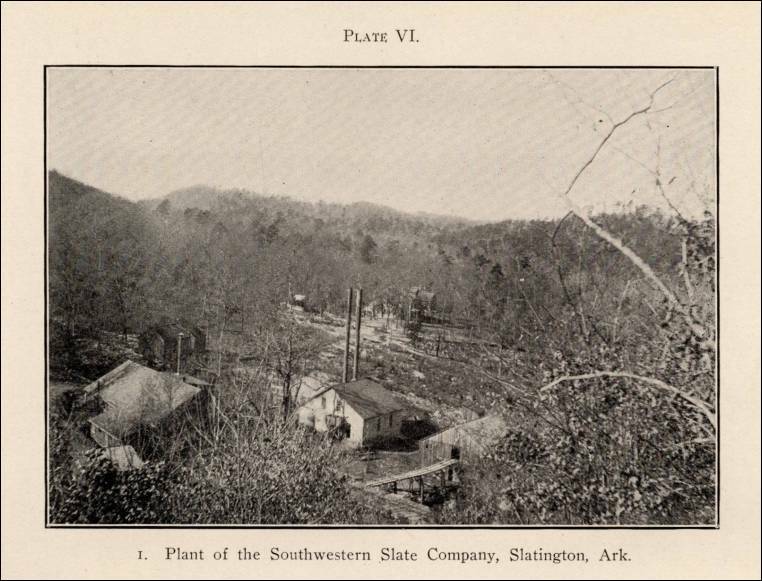 Plant of the Southwestern Slate Company, Slatington, Arkansas, pp. 76. Plate VII. 2. Block of red slate from North Quarry, Southwestern Slate Company, pp. 80. Subiaco, Logan County, Arkansas - the Quality Stone Company (Dimension Stone) Route 1 Box 241, Subiaco, AR 72865. Vilonia, Arkansas – L & R Quarries Inc. (Dimension Stone) 357 Highway 319 E, Vilonia AR 72173; (501) 796-2126.